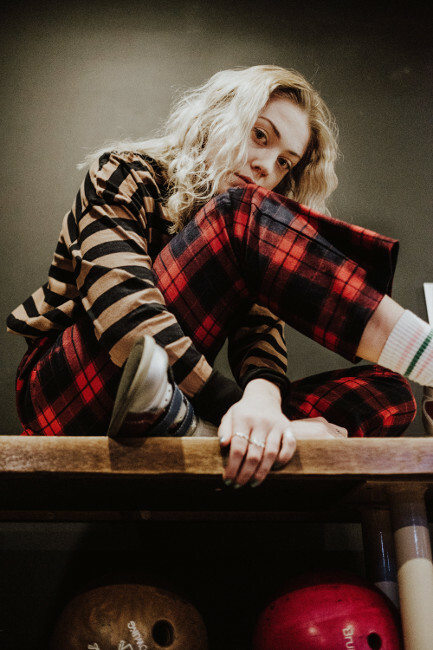 Rising Isle Wight star and RotD favourite Lauran Hibberd kick starts her 2019 with this rollicking dose of off-kilter indie pop. Co-written with trusted producer Boe Weaver and featuring on the latest Spotify’s New Music Friday playlist, Sugardaddy is a punk-tinged blast of ‘90s guitars, infectious indie melodies and some fine twisted lyricism about wanting, yes you guessed it, a sugar daddy. Recently named as one of Huw Stephens’ Top Tips for 2019, Lauran has previously garnered widespread acclaim from the likes of The Line Of Best Fit, Clash, The 405, John Kennedy and Steve Lamacq to name just a few. With a number of summer festivals already booked in, including Live at Leeds and Hit The North, she will be heading out to support US band Hippo Campus on their UK and European tour next week, which will include a show at London's Shepherds Bush on 21 February. Anthemic indie pop for fans of Courtney Barnett, Weezer and Soccer Mommy.